I hope you’ve had a great week, and that you can plan some time for yourself this weekend. In fact, I invite you to commit to it, and to say these words aloud. I AM GOING TO TAKE SOME TIME FOR MYSELF. This week’s bulletin is an important one for me. I’ve been contemplating and thinking and pondering and worrying about everything I’ve been doing, everything I’ve been writing, everything I’ve been putting out there in the world on my regular emails, and on my website, and on social media. This contemplation started in earnest with my last monthly newsletter at the start of this month, when one subscriber sent me a long and very critical reply to say that I had made overcoming depression sound easy, that it wasn’t easy and that I was victimising people who were going through and struggling to overcome it by making them feel even worse about what they were going through. I know first hand that everything about depression is extraordinarily difficult. I know what it’s like to be unable to get out of bed. I know what it’s like to face every day with apprehension and anxiety and self-loathing. I know that there is no quick or overnight path to overcoming depression. I know that the continuation of that journey, to finding happiness, to recognising fully what happiness is, and to fully embrace happiness when the moment presents itself, is something that very many people do not know how to experience. This is a big part of my life’s work. Figuring out how to live a life well lived. For myself, and for anyone who likes to hear about it. 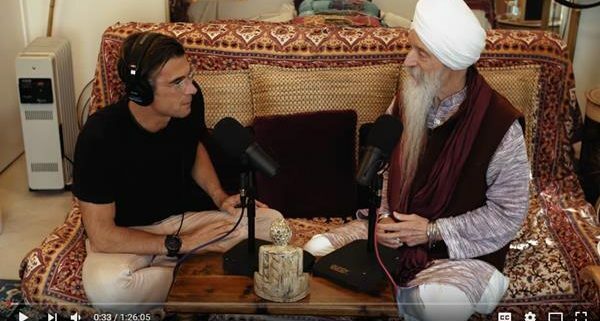 Guru Singh, a master spiritual teacher, author, and musician, was on the Rich Roll podcast this week, talking about depression. He speaks at length about breath, and how breathing deeply is an antidote to depression, and how do we breathe deeply? By jogging or hiking or walking briskly. As I listened to him, I thought to myself: But what about the people who find it impossible to take that step? Who find it impossible to lace up the runners? Who find it impossible to do the things they know they must do? I was grateful, then, that the conversation immediately turned in that direction, to how difficult it can be for someone so deep in depression to take that first step when every impulse tells you to stay in bed. If you’re so depressed that just getting out of bed is a major operation or major undertaking, if that is the level of depression that any of you are experiencing, just start with your hands, and stretch them. Just start with your feet and stretch them. Because in your hands and in your feet are a tremendous number of nerve endings, and if you stretch the flesh and the tissue around nerve endings you get a significant impulse. And they’ve measured it, it’s called a piezoelectric pulse, and that produces a reaction inside of you. And so if you just start stretching your hands, you don’t have to move your body, you can stay in bed, just start stretching your feet and toes, and then start massaging your hands together, one massaging the other, and then get down there and massage your feet before you put your socks on, there are little ways in which we can begin to improve the sensation so that you have the ability to get out of bed and to make … a breakfast? Or to do something that you haven’t done for days. We have all had deep moments of depression, and some of us who are in really accelerated lifestyles have had the greatest moments of depression. None of us made it to where we are without experiencing the other side really deeply. Ultimately you have to make some decisions for yourself, that you have to take some responsibility for. That no-one else is going to solve this for you. And that these decisions need to be followed by actions. And if the only action that you can take is to stretch your fingers, then that’s a great place to start. 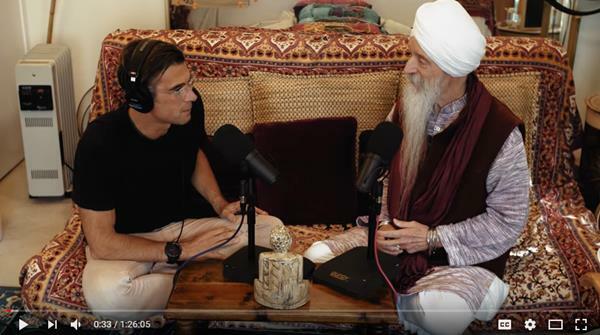 But ultimately the idea being that you need to build on these things, and you need to create new neural pathways, and those are going to be formed through the activities, and through the foods that you eat, and through the thought patterns that you decide to engage with. It’s a slow process. It’s not a quick fix or a life hack. But ultimately there’s a way through it. If you’re depressed, it’s okay. A lot of people are. Don’t beat yourself up for being depressed. Embrace where you are. I always say if you’re depressed you’re paying attention! Because there’s a lot to be depressed about. Here’s a link to the video. As well as depression, they talk about gun control, anger, why teachers should be paid as much as doctors and so much more. That’s all for this week, everyone.